Panama City, Republic of Panama –The H2H2H Foundation is pleased to announce the appointment of parking industry veteran Gary Neff, CEO of New York City-based Park Assist, to its Board of Governors. The Governors guide the Foundation in its overall direction, vision and mission. Park Assist, a subsidiary of the Netherlands-based THK Group, is a premium provider of Parking Guidance Systems (PGS) and business intelligence solutions. Park Assist pioneered the first camera-based system for parking guidance. Over the past decade, the firm has become an industry leader in PGS with successful installations spanning 35 countries. Park Assist’s unique, patented approach combines proprietary imaging software and advanced data analytics to produce actionable parking management information affecting occupancy, security and revenues. 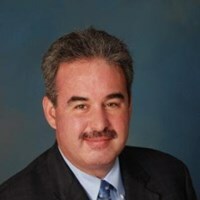 The H2H2H Foundation is pleased to announce the appointment of parking industry veteran Gary Neff, CEO of New York City-based Park Assist, to its Board of Governors. The H2H2H Foundation (www.H2H2H.org) is an international, nonprofit organization promoting excellence in the delivery of efficient and sustainable parking and transportation services. Park Assist (www.parkassist.com) is a premium provider of Parking Guidance Systems (PGS) and business intelligence solutions with successful installations spanning 35 countries.